Throughout the Riviera Nayarit, from Punta Mita to Sayulita, there are numerous beaches that provide perfect hunting grounds for catching big waves. These beaches are ideal for surfing, whether it is on a shortboard, a longboard, or a paddleboard; the latter is becoming more and more popular in the area. Each of the beaches stands as one of the many attractions in the Riviera Nayarit and are well worth a visit, not just for surfers, but also for surfing fans and spectators looking to witness the impressive feats of people carving up the waves. You'll find excellent hotels in the Riviera Nayarit catering to all budgets among the large number of communities, towns, and beaches that make up the area. In the Riviera Nayarit you'll have no trouble finding somewhere to enjoy a well-deserved rest after a busy day and to recharge your batteries for an early start, to beat other surfers to the best waves. If you're a surfer at heart with the ability to match, then show off your skills at the surf tournament that is held in Punta Sayulita the first weekend of March every year. Officially known as the Annual Punta Sayulita Long Board & Stand-Up Classic, this competition pays homage to the stunning waves of the Pacific Ocean in the Riviera Nayarit, and it acts as a fundraiser for the conservation of the beaches and coral reefs in the area. There is never a scarcity of excellent teachers and all the equipment you need to surf in the Riviera Nayarit; the only thing you have to take with you is the will to learn and the desire to have lots of fun. 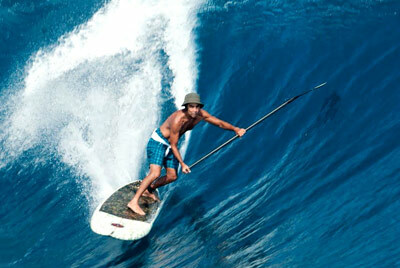 Come and discover the fantastic waves of the Riviera Nayarit!